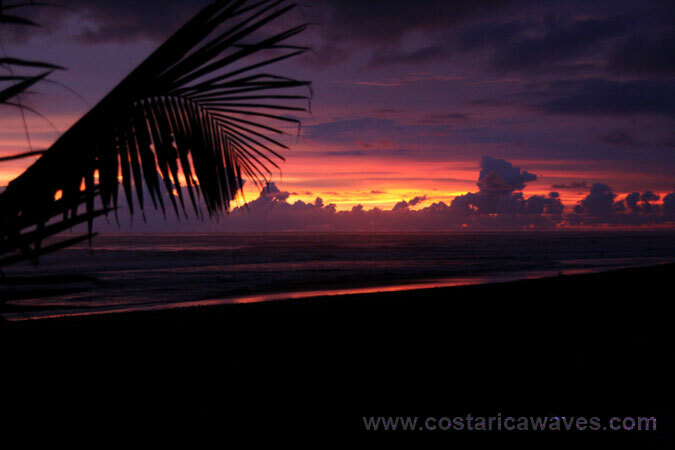 Dominical is one of the better known surf spots of Costa Rica. 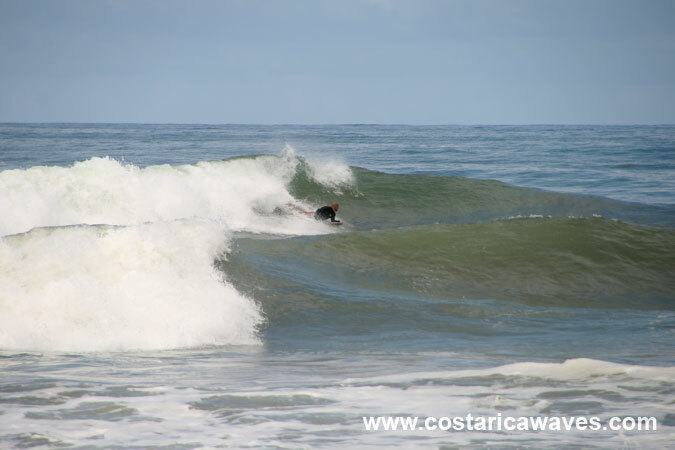 And it is well worth to check this beach for good waves. The swells, from the Northwest and the South, hit the open, unprotected beach with their full power. 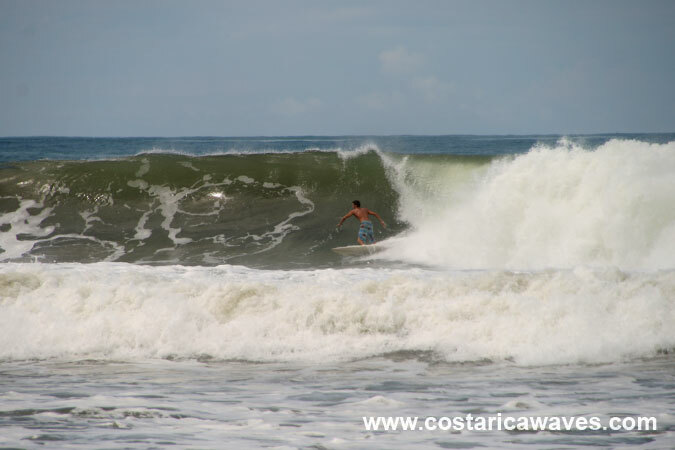 The hollow waves at Dominical are powerful! This is not a beach for beginner surfers or swimmers. The waves are easier to surf during high tide. They become hollower and faster at lower tides. 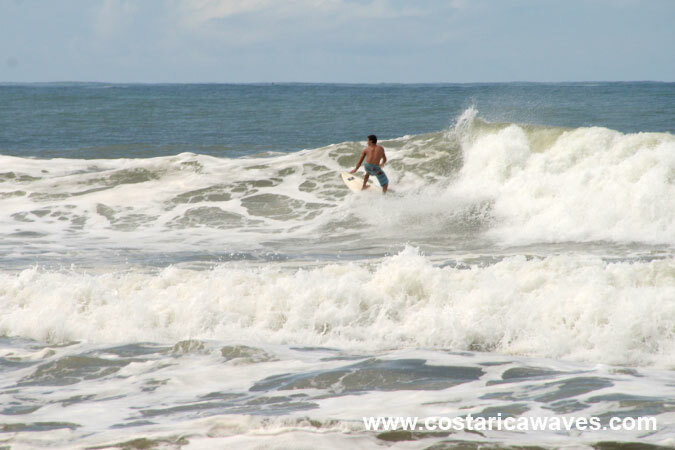 Dominical can hold swells up to 10 feet and waves faces can built up to triple overhead! There is no guarantee for perfect waves here, if the sand banks are not in the right position waves might just be average. 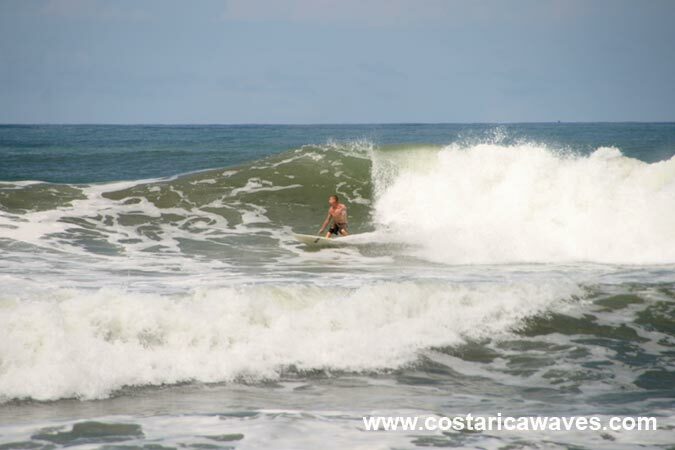 This is one of the few beaches of Costa Rica were lifeguards are on duty and that for a reason. The heavy waves and currents have already caused fatalities due to drowning. Before you paddle out you should observe the surf for some time. There might be some huge sets coming in between the small ones. And you don’t want to be in the impact zone at that moment. 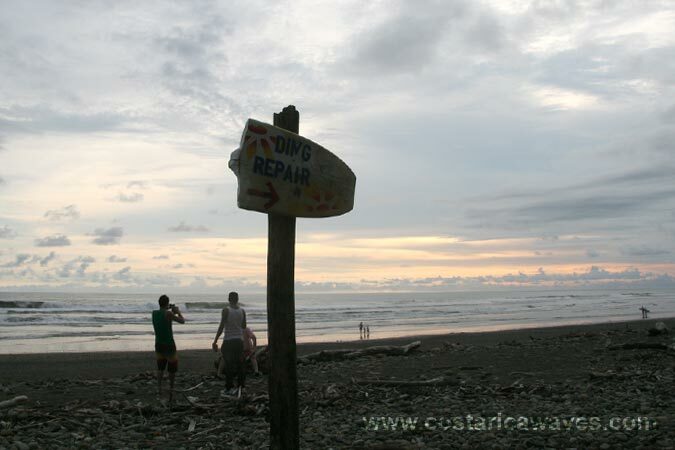 Or they might as well indicate you that you are still not ready to surf at Dominical, it is important to know you limits. Don’t underestimate the power of the ocean. The least you are risking is a lost day, because you spent it paddling and getting washed in waves that you were not able to dominate. Or you might end up with a broken board or even worth. Dominical is a small surfer village, almost everybody who stays here comes for the surf. Besides that there are always some backpackers and jugglers that camp on the beach. 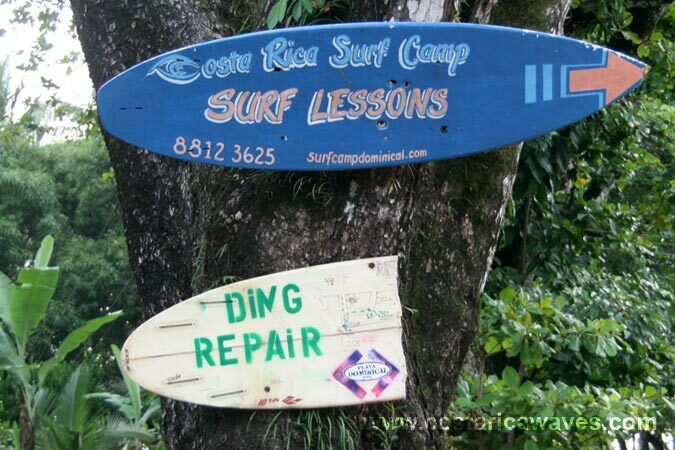 Surfboard rental, surfboard repair, surf lessons, surf camps, ..., everything that has to do with surfing is availbale in Dominical. 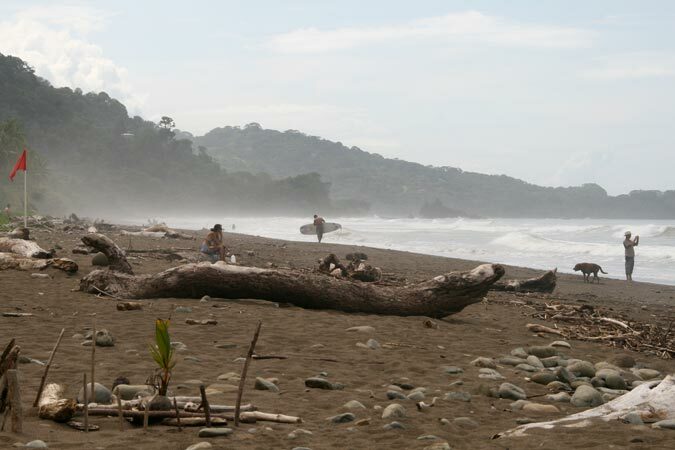 Dominical Beach covered with stones and driftwood. 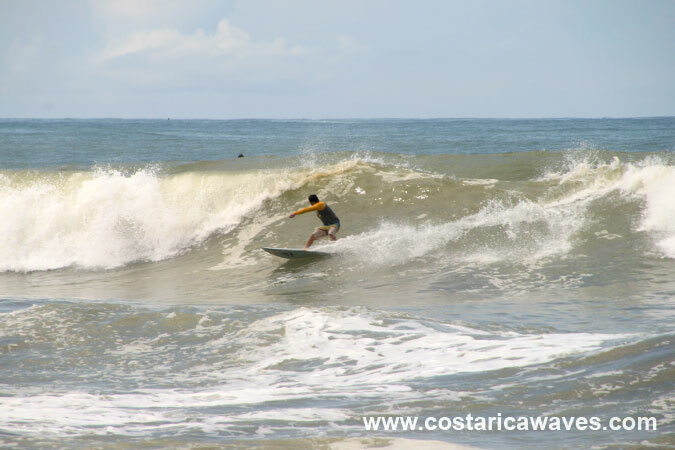 A shortboarder surfing in Dominical. Characteristics of the break can change with the shifting sandbanks. 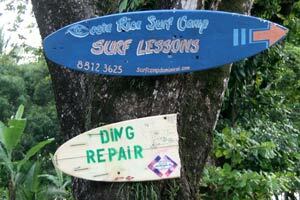 there are several places that offer ding repair in Dominical. A surfer girl surfing a nice wave at Dominical. Catching a solid right hander. 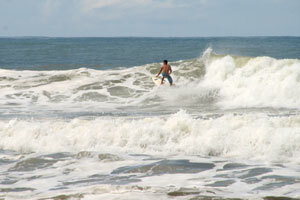 There are some bodyboarders at Dominical. 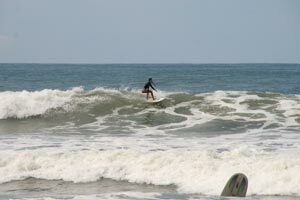 Surfing the beach break of Dominical.